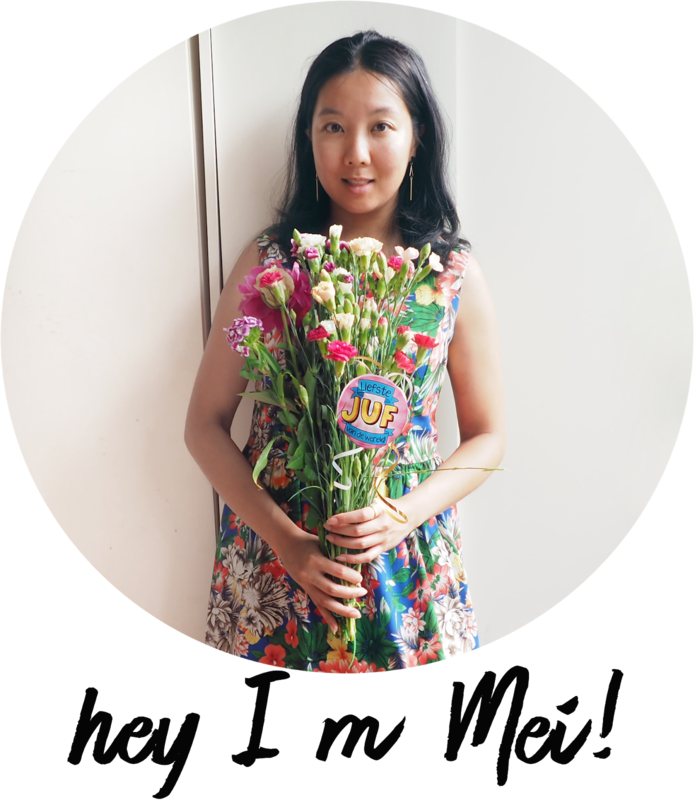 *bows* I’m sorry for not blogging so daily now, even though I have placed some blogtips on my last post, but my finals has kicked in along this heat (25°C) that is laying on Holland these days! 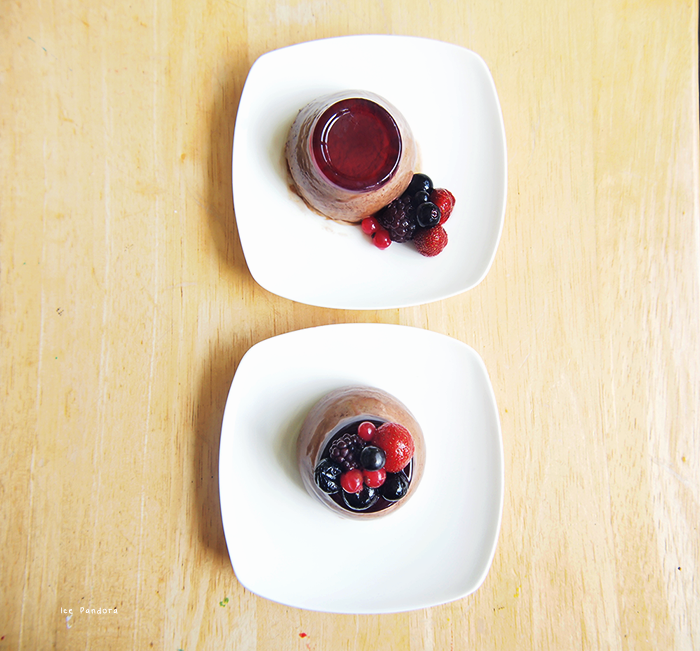 Enjoy the pictures below because every foodie knows that desserts are photogenetic. Hopefully you try my dessert out! Wellicht heb je het gemerkt dat ik niet meer dagelijks een nieuwe verse artikel meer plaats, en dat terwijl ik onlangs nog blogtips hebt weggeven! Nee, nee, geen writersblock hoor! Maar ik zit momenteel met mijn laatste loodjes school en dat gaat nou eenmaal voor. Ik heb iets koels nodig. Zoiets als de vanille panna cotta met jelly, mijn meest recente toetje! 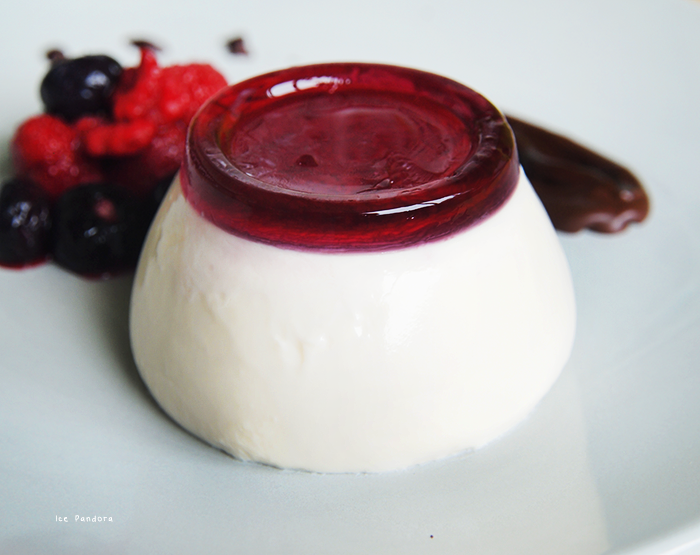 Panna cotta’s wat ‘gekookte room’ in Italiaans betekend, is super lekker en super makkelijk! A part of me didn't want to eat this at all, because it looked so pweeetty! Add the 1 tbsp. 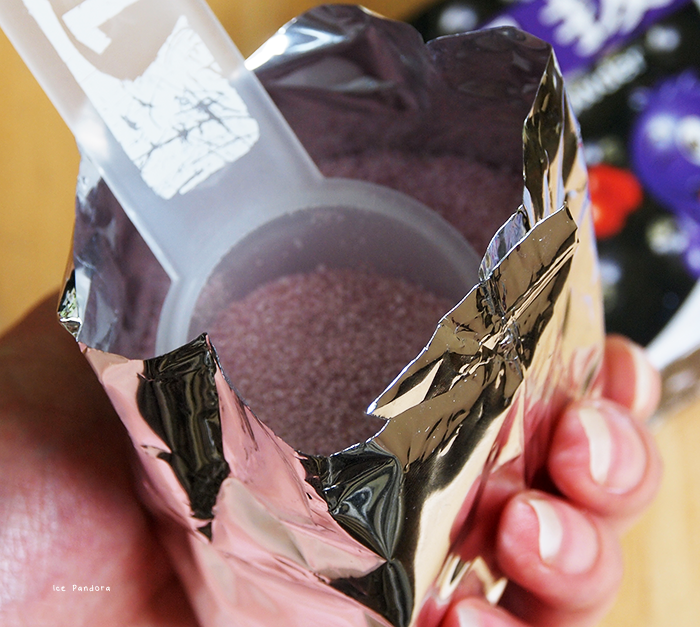 jelly powder and the ½ cup hot water in a bowl and stir until the powder is dissolved. 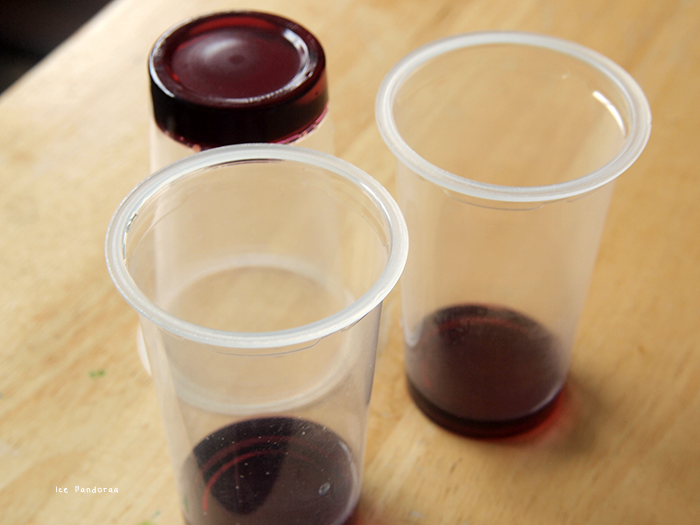 Once the jelly 'soup' is cooled down, pour in plastic cup and let it set in the fridge for at least 45 min - 1 hour. 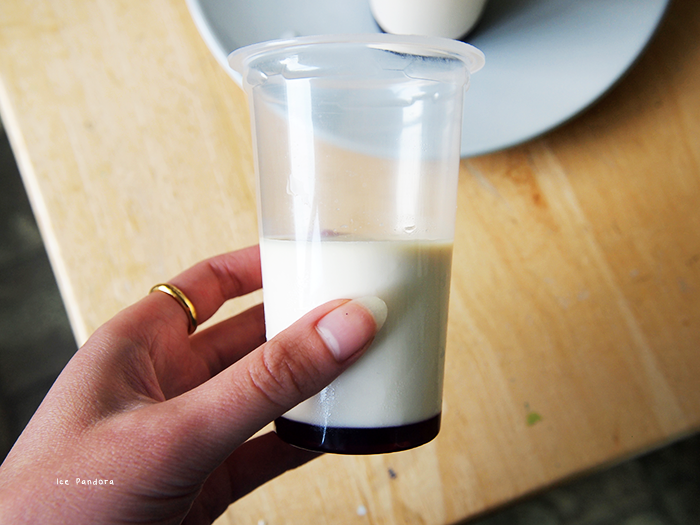 Soak gelatin sheets with 2 tbsp. of water. Cook the cream with sugar and drops of vanilla essences in a pan on low - medium heat for about 5 minutes. Remove from heat! 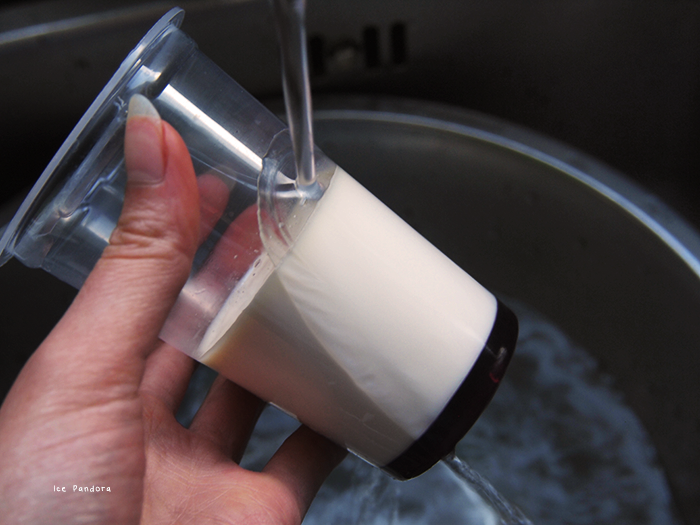 Squeeze dry the gelatin sheets, add in the pan of cooked cream and stir! 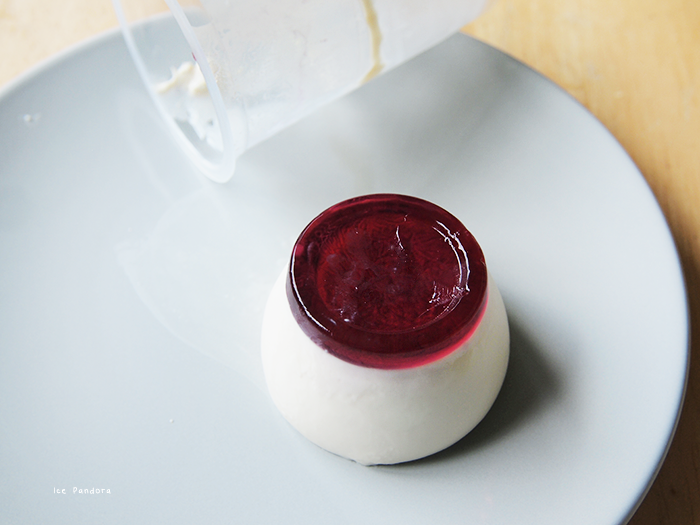 Once the cream is cooled down a bit, add in the same cup with the prepared, set jelly. 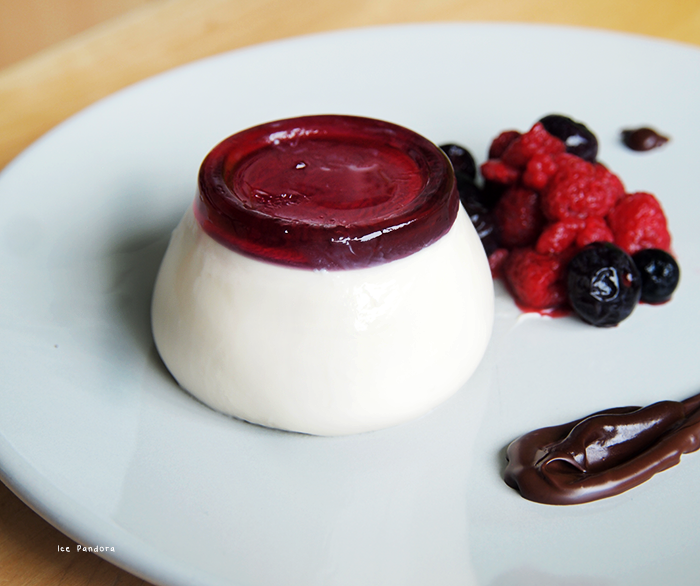 Let the panna cotta set for at least 4 hours in the fridge. 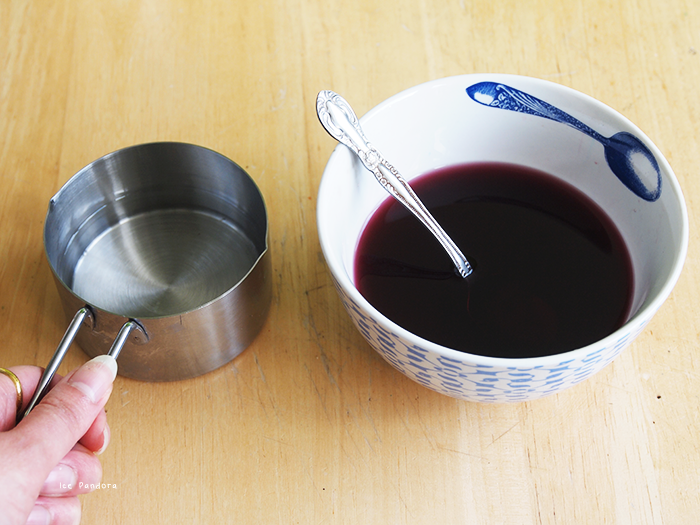 How to unmold: warm the cup with warm water at a sink or in a warm water bath. Be patience! Wow, looks so good! I wouldn't want to eat it either! I'd love to introduce food posts on my blog, but I don't seem to be able to find the time/lighting to cook and take good pictures in... hopefully someday! Looks pretty good! Succes met de examens! So nifty how you added jelly on top. Love how you presented it, I wouldn't have been able to eat it. Looks so pro! 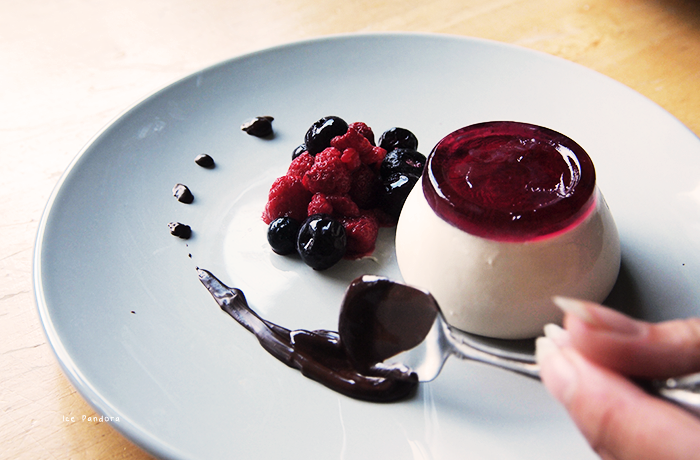 I also love pana cotta. So quick and easy to make, plus it's super light to eat. 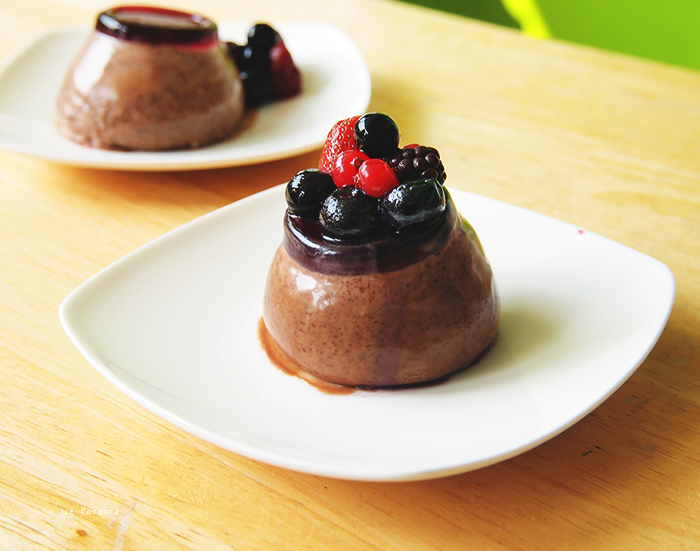 It's also a great dessert recipe to have on hand for people with allergies (except lactose/milk of course)... Lol. This recipe looks super simple but the results look amazing. Such beautiful presentation. OMG, SOOO CUTE! I love how it curves up when you plate it and it looks so chubby and lovely! I like the first one you made, I really really want to eat that right now! This dessert looks mouthwateringly amazing! Def will save it to my recipe book & try it out soon! Wow it looks so amazing ! This looks awesome! 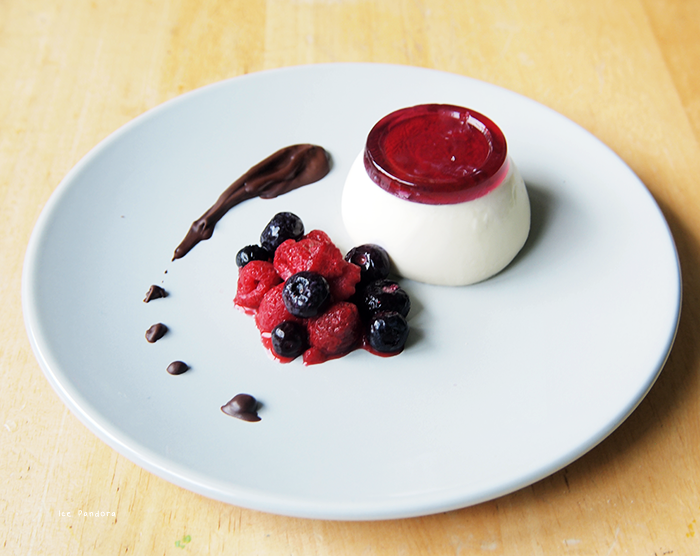 I love creamy panna cotta. 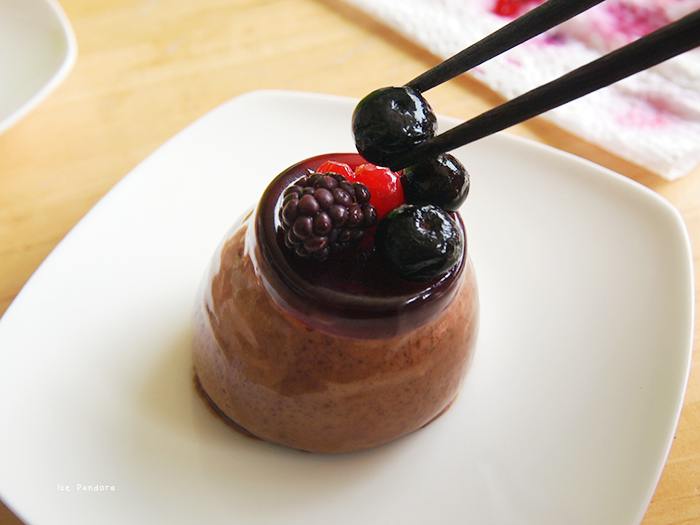 Your red jelly top make is extra special. Brilliant idea! wooooooooow, dit ziet er zooo lekker uit *O* woow! !